At left: Dr. Seuss, from “Four Places Not to Hide While Growing Your Beard” (Life, 15 Nov. 1929). At right: Dr. Seuss, The Cat in the Hat (1957). As we reconsider the works of Dr. Seuss on what would have been his (well, Theodor Seuss Geisel’s) 115th birthday, I encourage you to take a look at Katie Ishizuka and Ramón Stephens’ “The Cat is Out of the Bag: Orientalism, Anti-Blackness, and White Supremacy in Dr. Seuss’s Children’s Books,” just published in Research on Diversity in Youth Literature last month. To give you a sense of the article’s impact, it has been downloaded over 18,000 times (as of this writing) and is mentioned in an NPR story. 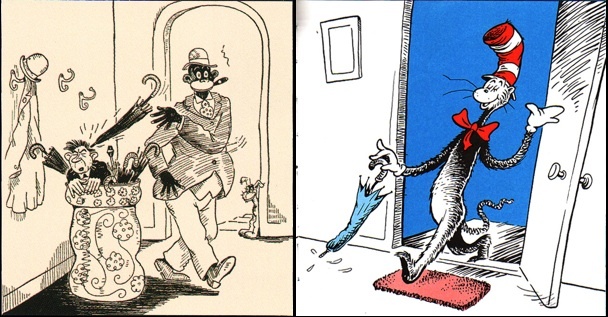 I don’t have anything further to add, having written quite a bit on Seuss — including the influence of blackface minstrelsy on the Cat in the Hat. You can find that in the title chapter of Was the Cat in the Hat Black? : The Hidden Racism of Children’s Literature and the Need for Diverse Books (2017), which will be out in paperback on the 29th of this month. The paperback includes a new Afterword on “Why Adults Refuse to Admit Racist Content in the Children’s Books They Love” — in which I read some of the hate mail that the hardcover inspired, with the goal of educating people who are reluctant to reflect on their “problematic faves” from childhood. Was the Cat in the Hat Black? — cover reveal (19 Dec. 2016). The Archive of Childhood, Part 2: The Golliwog (13 Jan. 2015). A revised version of this blog post appears as part of the book’s introduction (“Race, Racism, and the Cultures of Childhood”). Was the Cat in the Hat Black? (22 June 2014). 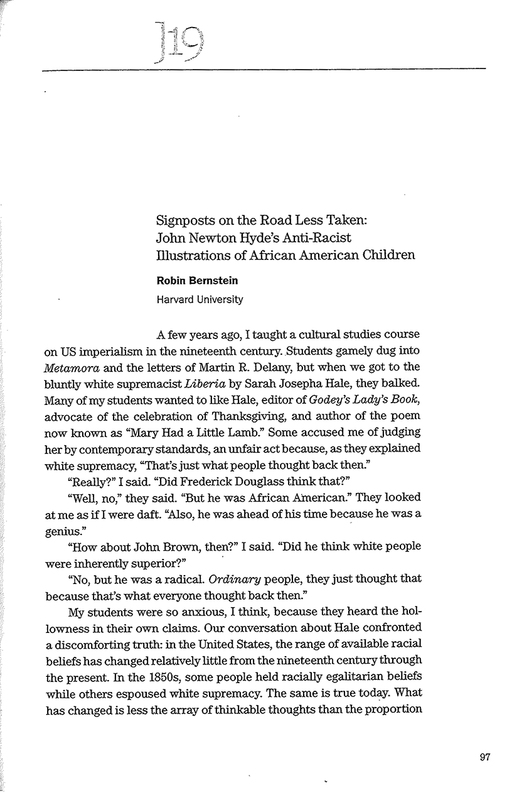 An earlier version of the title chapter (“The Strange Career of the Cat in the Hat; or, Dr. Seuss’s Racial Imagination”) appeared as an article, in Children’s Literature 42 (2014). Can Censoring a Children’s Book Remove Its Prejudices? (19 Sept. 2010). My earliest thinking on what became Chapter 2 (“How to Read Uncomfortably”), and one of the most frequently cited posts from this blog. I hope that — in future — people cite the book chapter… because it’s better! “The Boundaries of Imagination”; or, the All-White World of Children’s Books, 2014 (17 March 2014). On the occasion of the New York Times pieces by Christopher Myers and Walter Dean Myers, a collection of information and essays about the fight for diversity in children’s literature. Disagreement, Difference, Diversity: A Talk by Christopher Myers (24 Oct. 2015). A few thoughts and notes on an excellent talk by Christopher Myers. I quote from his talk in the book. Ferguson: Response & Resources (24 Aug. 2014). I began this book before the Black Lives Matter movement began, but it and its leaders have informed my work. #BlackLivesMatter — A Twitter Essay (3 Dec. 2014). Daniel Pantaleo is on video choking Eric Garner to death. When a grand jury said there was no need for a trial, I wrote this. Charleston, Family History, and White Responsibility (22 June 2016). A response to the terrorism in Charleston, South Carolina. Following sustained critique from family members, I removed this from the blog — the first time that I’ve altered a post for reasons other than finding an error or a typo. However, the Wayback Machine preserved the post. Ideas expressed in it emerge in the book (notably, the end of Chapter 3), but (unlike the original post) do so without identifying specific individuals. Seuss on Film (2 March 2016). Includes four clips of Seuss: Unusual Occupations (1940), Making SNAFU (c. 1943), To Tell the Truth (1958), and footage from a New Zealand schoolroom (1964). Six Spots of Seuss News (2 Mar. 2015). On What Pet Should I Get?, Elana Kagan’s citation of One fish two fish red fish blue fish (1960) in a 2015 Supreme Court decision written by Justice Elena Kagan, Dr. Seuss advertising art from 1936, and a Dr. Seuss rap quiz! Oh, the Quotations You’ll Forge! (2 Mar. 2014). Seuss’s pithy verse is very quotable. Unfortunately, people have a habit of attributing things to him that he never said. This post exposes some fake Seuss, and gives you plenty of quotations that he actually did say. Happy birthday to Dr. Seuss! 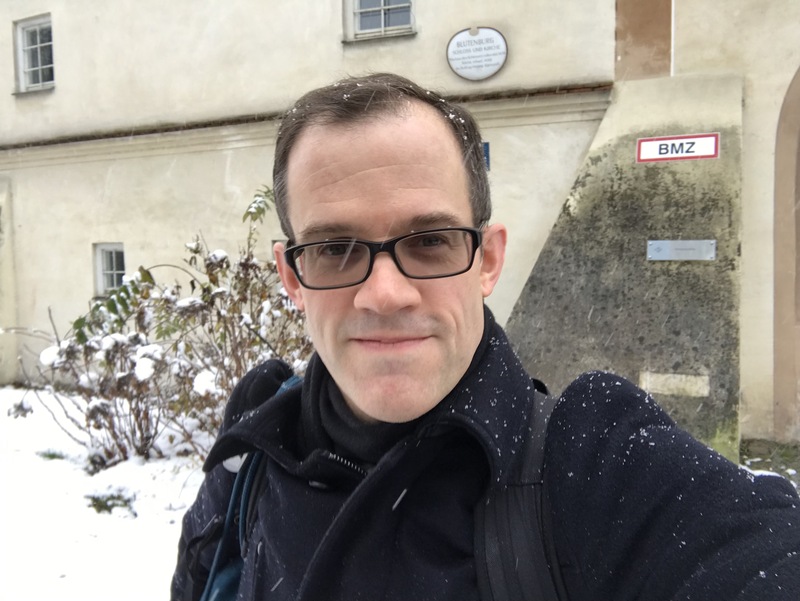 A guest post by Charles D. Cohen (2 Mar. 2013). Birthday reflections from Seussologist Charles Cohen (The Seuss, the Whole Seuss, and Nothing But the Seuss). Quotes some original verse by Seuss, including “Pentellic Bilge for Bennett Cerf’s Birthday” (1940). I Am the Lorax. I Speak for the Theeds? (3 Mar. 2012). Some thoughts on The Lorax film and its attendant advertising. Dr. Seuss: children’s books “have a greater potential for good or evil, than any other form of literature on earth.” (1 Mar. 2012). A 1960 essay by Seuss on writing for children. Dr. Seuss on “conditioned laughter,” racist humor, and why adults are “obsolete children” (16 Jan. 2012). A 1952 essay by Seuss on humor. Seussology (15 Jan. 2012): On my graduate-level “Dr. Seuss” course. Oh, the Thinks That He Thought! Some of Seuss’s Lesser-Known Works (2 Mar. 2011): My post for Dr. Seuss’s birthday in 2011. You’re a Mean One, Mr. Grinch (20 Dec. 2010): 15 versions of the song. Corporate Seuss; or, Oh, the Things You Can Sell! (21 Aug. 2010). Ted Geisel was first famous for advertising, not children’s books. Separating children from their parents is a violation of basic human rights and does not deter asylum-seekers. Hostile to facts and compassionate only towards himself, Mr. Trump has pursued this policy with reckless indifference to its consequences. As of the end of last month (over four months after the court-imposed deadline to reunite these families), over 140 children had still not been reunited with their parents. And that figure does not include the over 15,000 children locked up in Trump’s child detention centers. Writing about Migration, Refugees, and Diaspora in Children’s Literature — the theme of this special issue of the Children’s Literature Association Quarterly — will not stop the US government’s (or any other government’s) crimes against humanity. 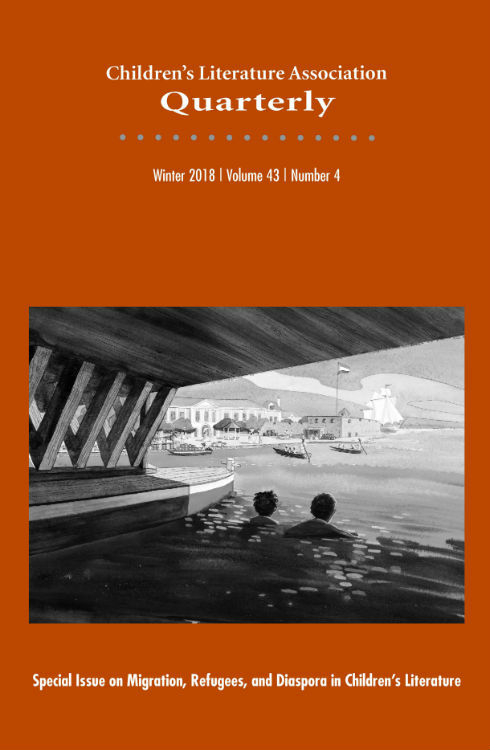 And yet, I edited this special issue, which features smart essays by six sharp scholars: Debra Dudek, Carmen Nolte-Odhiambo, Leyla Savsar, Anastasia Ulanowicz, Maria Rosa Truglio, and Sara Van den Bossche. Why? Not because we expect our words to awaken the consciences of those in power — if, indeed, the people who support these policies possess consciences. We write because we speak as we can, in the venues available to us. Because all scholarship is, in some measure, a record of the time in which it was written. Because children’s literature can cultivate empathy. Because children’s literature can (to borrow Rudine Sims Bishop’s famous term) serve as a mirror to young people who have been displaced — geographically, culturally, emotionally. Because words and images can change minds. When children’s literature cultivates an empathetic imagination, it can bring people of all ages closer to understanding the displacement felt by migrants, refugees, and those in diasporic communities. Such literature can affirm the experiences of children in those communities, letting them know that they are not alone…. As scholars of children’s literature, we are not, alas, in charge of shaping humane policies for our governments. But we can, to borrow the words of Russian-American journalist Masha Gessen, help people to envision “a world without borders as we have known them—a world in which nation-states are not prized or assumed.” We can guide readers to books that harness the imagination’s power to nourish empathy, and we can steer them away from those that reinforce bigotry. Thanks to our professional training, we understand that such work is necessary and complicated: A work’s propagation of prejudice can be both subtle and overt. Art is often ideologically ambivalent, humanizing in some ways and dehumanizing in others. Another thing we can do, then, is to teach people how to spot the difference. Careful, thoughtful readers can resist lies, misinformation, and scapegoating. By helping us develop the necessary critical literacies, the articles in this issue foster these vital skills. I proposed this special issue, in part, because I am from a family of immigrants and am the descendant of refugees. The Nels were among those 2 million seventeenth-century French Protestants (Huguenots) whose flight from persecution introduced the word refugee into the English language. Today, my extended family (nuclear family plus cousins, uncles, and aunts) lives in five countries on four continents. We are a migratory group. In migrants, refugees, and the diasporic, I see my own family. But I also see my family in the people who caused such displacement—from the active Islamophobe who supports a “Muslim ban” to the passive inheritors of White supremacy. I am aware that my being born in the US has everything to do with my parents being White South Africans and not Black South Africans. Their Whiteness granted them access not just to the education that made finding an American job possible, but also to the basic human rights that significantly increased the chances that they would survive and flourish. Indeed, my own flourishing is built upon a range of intersecting structures of oppression. I’ve written more on this subject elsewhere on this blog — perhaps most directly in “Charleston, Family History, and White Responsibility” (June 2015). For the past few years, that post has only been available via its archival presence on the Wayback Machine, for reasons explained in the footnote below. * But there are plenty of other autobiographical posts hosted here, some of which address White Privilege and White Responsibility. But,… returning to the special issue. Remember: human rights do not depend upon citizenship. Humanity has no borders. * My father was furious at me for speaking the truth. In an effort to keep the peace, I deleted the post (though, while writing this post now, have added a link from that post to the Wayback Machine’s archival record). This effort failed; dad stopped speaking to me shortly thereafter. Incidentally, ideas expressed in it emerge in Was the Cat in the Hat Black? : The Hidden Racism of Children’s Literature and the Need for Diverse Books (notably, the end of Chapter 3), but (unlike the original post) do so without identifying specific individuals. 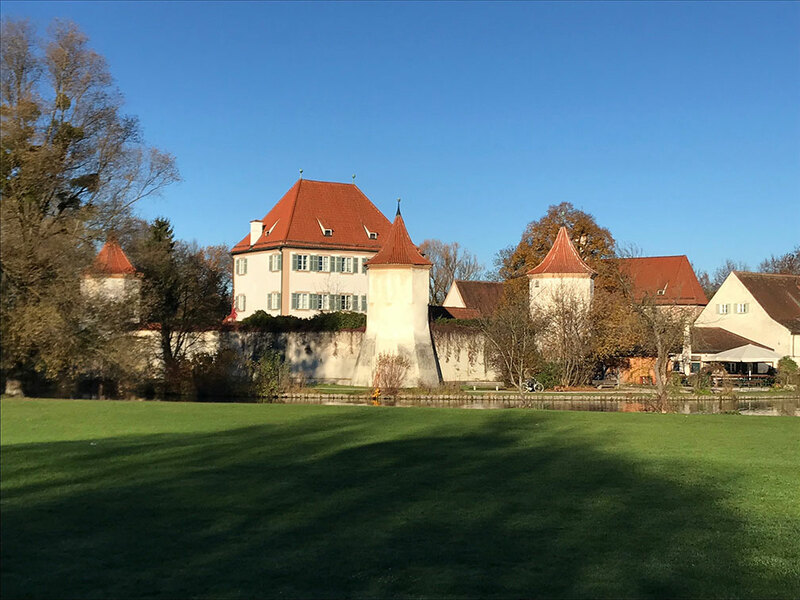 Over at Kansas State University’s English Department blog, I have a post on my three months at the Internationale Jugendbibliothek in Munich. I’ll excerpt a little bit here (the first paragraph, and the conclusion) but go over there to read the whole thing (and to see more photos). Since the first of September I have been at the Internationale Jugendbibliothek (IJB) in Munich, Germany. Why? As part of a larger cross-cultural study of diversity in children’s literature, I’m exploring how multiculturalism functions in Germany, via German picture books — chosen in part because they pose the smallest barrier to my limited (but improving!) German, and in part because what we read when we are young can have a profound impact on the adults we become. We read these books when we are still figuring out who we are and what we believe. Founded in 1949, the Internationale Jugendbibliothek does a version of this work in its advocacy for international cultural education, via promoting good books for young readers. Embodying that international spirit, its staff and the fellows who study here come from around the world. During my three months at the IJB, I’ve met — and befriended — people from France, Iran, Japan, Lichtenstein, the Philippines, Romania, Saudi Arabia, Slovenia, Tunisia, Ukraine, and of course Germany. Getting to know people from around the world has not only expanded my own perspective, but has developed professional relationships and friendships that will last throughout my life. I will leave you with a phrase I saw on a shoulder-bag in Pasing train station one morning: “Lesen gefährdet die Dummheit,” which means “Reading endangers stupidity.” While combating ignorance does of course depend upon what we read, I nonetheless endorse the optimism of that statement. Fight stupidity. Keep reading. As I say, this is but an excerpt. So, for the rest, go over to the English Dept. blog to for the rest (plus more photos). But Nel argues that the answer isn’t simply removing “problematic” children’s classics like Mark Twain’s “Adventures of Huckleberry Finn,” which uses the N-word 219 times, from school reading lists. Such stories, “if used carefully, appropriately and in context can be a way to educate people about racism,” he says. Teaching problematic children’s classics can allow children of color to critique and disagree with a book, express anger at oppression and find the language to talk about racism while also teaching white children to identify racist ways of thinking and challenge their own racialized assumptions, Nel explains. My thanks to all who have participated in this conversation, and my apologies for joining it a little late. This CNN article quoting Philip Nel just makes me angry each time I look at it. These critics helpfully highlight the context absent from that quotation, and I am grateful to them for doing so. While such texts can provide a teaching moment, it is not the job of Black children to (if I may quote Mica Kennedy) “rise above and make this a teaching moment.” I can see how the above quotation might convey that impression, but I emphatically do not recommend a pedagogical practice that relies upon Black, indigenous, and children of color to educate their peers. Thanks to Ms. Kennedy, Dr. Reese, and Dr. Jimenez for their critiques. Here’s a little context missing from the CNN.com quotation, but present in Was the Cat in the Hat Black? : The Hidden Racism of Children’s Literature and the Need for Diverse Books (2017). Bowdlerized versions of racist classics aspire to remove the racism but instead re-encode it more subtly. So, if (and only if) one is going to read those books, better to read the un-Bowdlerized versions and to do so in context — in the context of books that offer accurate representations and that debunk the racism. Advocates of bowdlerizing or banning these novels correctly point to the powerful role that the original versions of Charlie and the Chocolate Factory and Doctor Dolittle have played in dehumanizing people of color. 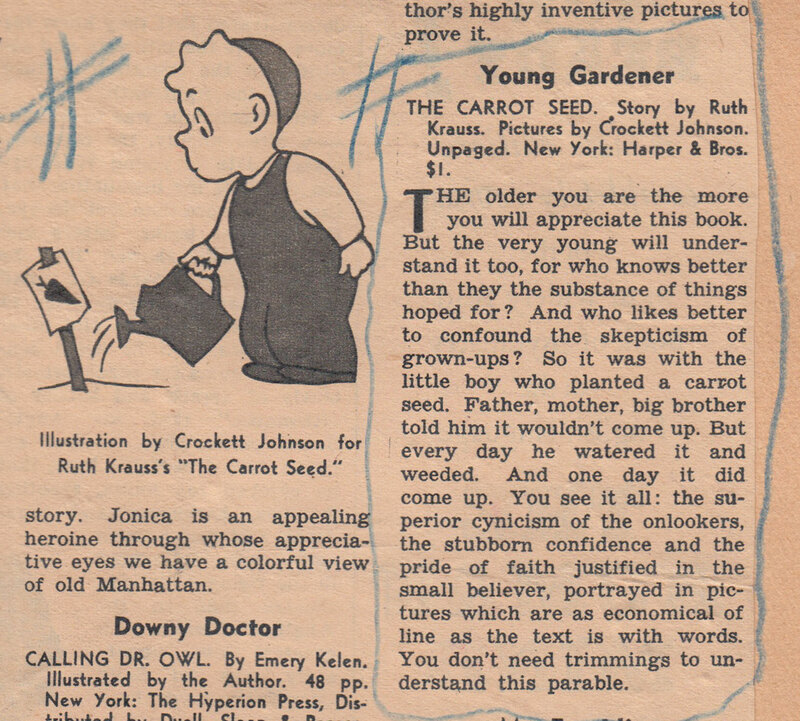 As New York librarian Isabelle Suhl wrote in 1968, “what justification can be found by anyone—and I ask this particularly of those adults who still defend Lofting—to perpetuate the racist Dolittle books? How many more generations of black children must be insulted by them and how many more white children allowed to be infected with their message of white superiority?” Racist texts can inflict real psychic damage on children of all races, but the child who is a member of the targeted group sustains deeper wounds than the child who is not. The racial ideologies of Dahl, Lofting, Travers, and Twain all but ensure that children who are (and have historically been) the targets of prejudice will suffer in ways that White children will not. The White child who encounters the n-word or Prince Bumpo or an Oompa-Loompa has the unearned privilege of not seeing people of her or his race being stereotyped. That said, as Suhl notes, such books damage White children, too, conveying to them that they are more important, and that dominating people of color is acceptable. Prejudice harms different groups in different ways, and its harmful effects are not distributed equally. Even assigning such a text risks reinforcing structural racism. Indeed, there is a case to be made for removing racist books from grade-school curricula. Julius Lester has admitted that he is “grateful that among the many indignities inflicted on me in childhood, I escaped Huckleberry Finn.” He adds that, “as a black parent,” he sympathizes “with those who want the book banned, or at least removed from required reading lists in schools. 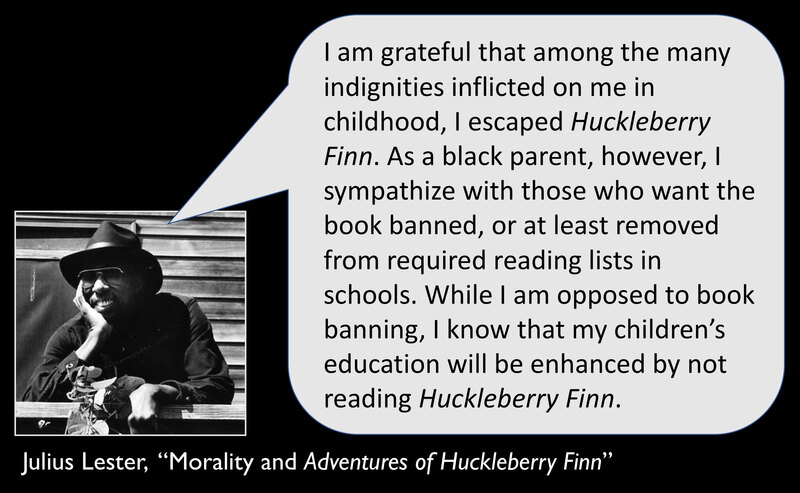 While I am opposed to book banning, I know that my children’s education will be enhanced by not reading Huckleberry Finn.” John H. Wallace goes even further, arguing that Huckleberry Finn “should not be used with children. It is permissible to use the original Huckleberry Finn with students in graduate courses of history, English, and social science if one wants to study the perpetuation of racism.” We could develop this line of reasoning further, and argue that the best way to hasten the decline of a racist classic—and thus the racism it may propagate—is not to teach it at all, at any level. The chapter then goes on to explore how racist children’s books — used in context of accurate, anti-racist children’s books — might be pedagogically useful. And it is quite specific in calling out the racism of these novels. For instance, as Jonathan Arac, Julius Lester, and many others have pointed out, Twain’s Huckleberry Finn is not the progressive anti-racist classic that it’s promoted as being. For more on why not to teach Huckleberry Finn, see Satire or Evasion? 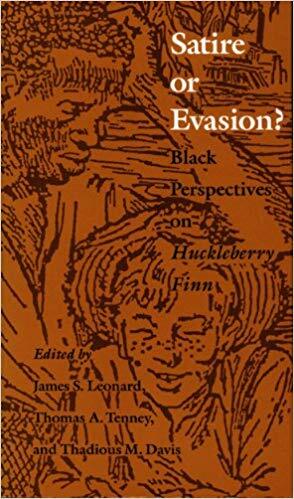 : Black Perspectives on Huckleberry Finn, edited by James S. Leonard, Thomas A. Tenney, and Thadious M. Davis (1992). The book includes Julius Lester’s “Morality and Adventures of Huckleberry Finn” and John H. Wallace’s “The Case Against Huck Finn,” both of which I quote above. See also Jonathan Arac’s Huckleberry Finn as Idol and Target: The Functions of Criticism in Our Time (1997), which addresses how the novel’s “hypercanonization” has obscured its racism. On the potential dangers that racist literature poses to Black, indigenous, and children of color, see Oyate’s “Living Stories”. Thanks to Allie Jane Bruce for alerting me to the existence of this debate. When the CNN article ran, I was (and still am) traveling, and so I noted the appearance of the piece but didn’t have a chance to do more than glance at it. 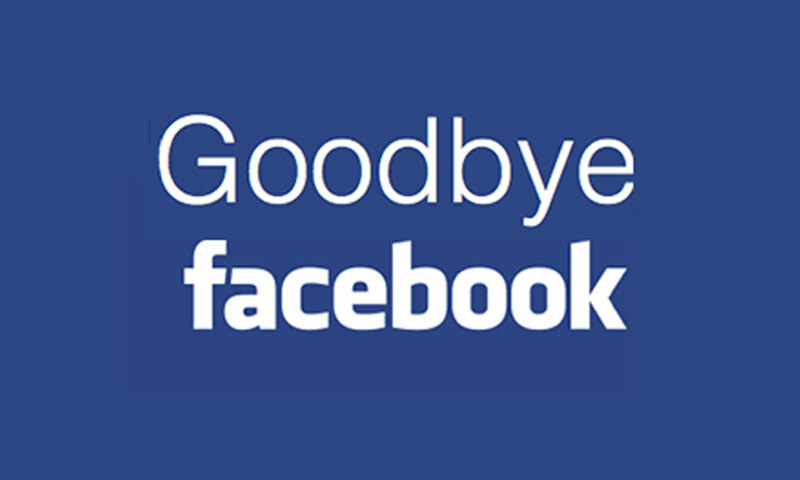 As you may or may not have noticed, my use of social media has declined over the past year or so. I check in on Facebook once every couple of weeks. I am still on Twitter, but (with the exception of three days in Atlanta and two in England) have been on Central European Time since the first of August. So, I am sure I’m missing conversations that I should be noticing. I also don’t fault the CNN piece for lacking the full context. Several reasons. First, the exigencies of news media tend to lose the nuances. Elisions are endemic to the medium. Second, journalism is a tough job: writers have to balance a range of information in a very compact form, and yet manage to sustain a reader’s attention. They also may not have full editorial control. A third reason that this may not be the journalist’s fault at all: I have no recollection of the interview. When the journalist kindly wrote me to say that the piece had been published, I then noted (via our earlier embedded emails at the bottom of the note) that we had talked back in April. So, during our interview, it’s entirely possible that I failed to emphasize the context provided above. If that’s the case, then the fault is entirely mine. Two more concluding thoughts. First, I should not take for granted that everyone is aware of the unavoidable elisions and compressions of the news media. Over the course of my career, I’ve been interviewed hundreds of times. As a result, I take for granted that the entire arc of one’s argument may not appear in full. However, I recognize that my experience is unusual and so I need to do a better job monitoring — and, in cases like this, responding to — how statements are represented. While it is impossible to grow up in a racist culture and not absorb some of its messages, it is very easy to be unconscious of what you have absorbed. That is how dominant ideologies work: their messages seep in subtly, persistently, without your noticing. When I was preparing to teach the book in a college class, I picked up Helen Bannerman’s Little Black Sambo for the first time. As I read it, I had the unsettling experience of realizing that I already knew the story. This was not the first time I had encountered Little Black Sambo. Had I read Bannerman’s version? Or perhaps an edition with more grotesque racial caricature, such as John R. Neill’s? What other half-remembered stories (suffused with racial caricature or otherwise) were lurking in my subconscious? As I mentioned in the introduction, only when I reflect upon the racist culture of my childhood—the Gollies, the Uncle Remus stories, Little Black Sambo, the near-absence of narratives featuring people of color—can I begin to contemplate how it shaped my own racial and, yes, racist assumptions about other people. A writer, artist, or critic may not intend to perpetuate stereotypes, but—especially when left unexamined—ideology trumps intention…. [W]ell-intentioned people can still act in ways that reinforce racism, unaware that they are doing so. Since the United States is such a segregated country, White people live in an environment structured to prevent our awareness of race and racism. These geographies and the culture itself make it easy for Whites to avoid reflecting upon our raced selves. All who work in the field of children’s literature and culture need to reflect, and strive to do better. CrazyQuiltEdi‘s Diversity Resources, from Edi Campbell. Lee & Low Books have many diversity initiatives, including the Diversity Baseline Survey for publishers, its Diversity Gap Studies, and many blog posts on diversity, race, and representation. Research on Diversity In Youth Literature, open-access journal edited by Sarah Park Dahlen and Gabrielle Halko. Teaching for Change, founded in 1990, is dedicated to using education to promote social justice. As its website explains, it “provides teachers and parents with the tools to create schools where students learn to read, write and change the world.” The organization offers an anti-bias curriculum, resources for teaching about the U.S. Civil Rights Movement, recommended books, and ways for parents to get involved. We Need Diverse Books is Ellen Oh, Malinda Lo, and Aisha Saeed’s “grassroots organization of children’s book lovers that advocates essential changes in the publishing industry to produce and promote literature that reflects and honors the lives of all young people.” It includes resources for writers (including advice, awards, and grants) and readers (on where to find diverse books), and opportunities for you to get involved. In honor of Ruth Krauss’s 117th birthday (today, which she would have celebrated as her 107th birthday), here’s a photo you likely have not seen before. It appeared in the May 12, 1951 issue of the Herald Tribune Book News, which described Krauss’s latest book (I Can Fly, illustrated by Mary Blair) as follows: “Very small girl pretends to be every sort of creature. Amusing rhymed text, beautiful full color. For 3 to 5 years.” I don’t know when the photo was taken, though I think it is roughly contemporaneous. She has this hairstyle in the 1940s and 1950s. I do know that I have never seen this photo reproduced anywhere else. 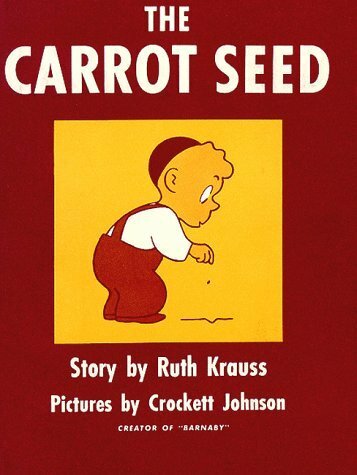 In 1951, Krauss was the author of one massive hit — The Carrot Seed (1945), illustrated by Crockett Johnson (also her husband) — and The Happy Day (1949), which won a Caldecott Honor for Marc Simont’s artwork. Of her other seven books from that period (1944-1951), only The Backward Day (1950, also illustrated by Simont) and Bears (1948, illus. by Phyllis Rowand) are remembered today. 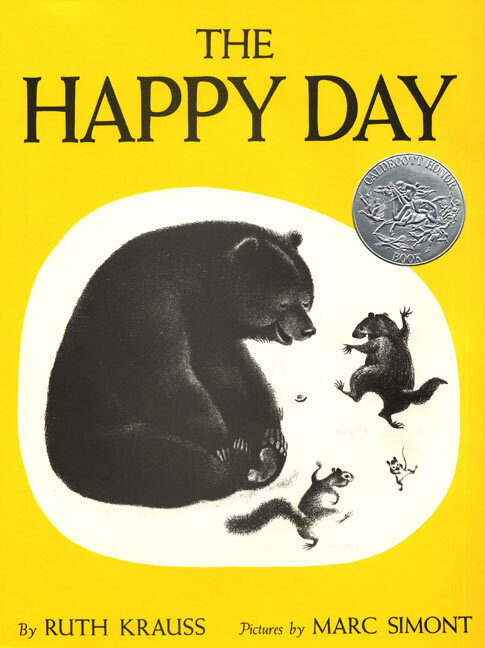 And Bears is known primarily for Maurice Sendak’s re-illustrated version, published in 2005. Their first collaboration was the cultural phenomenon A Hole Is to Dig (1952, from which you can see a two-page spread, above this sentence). 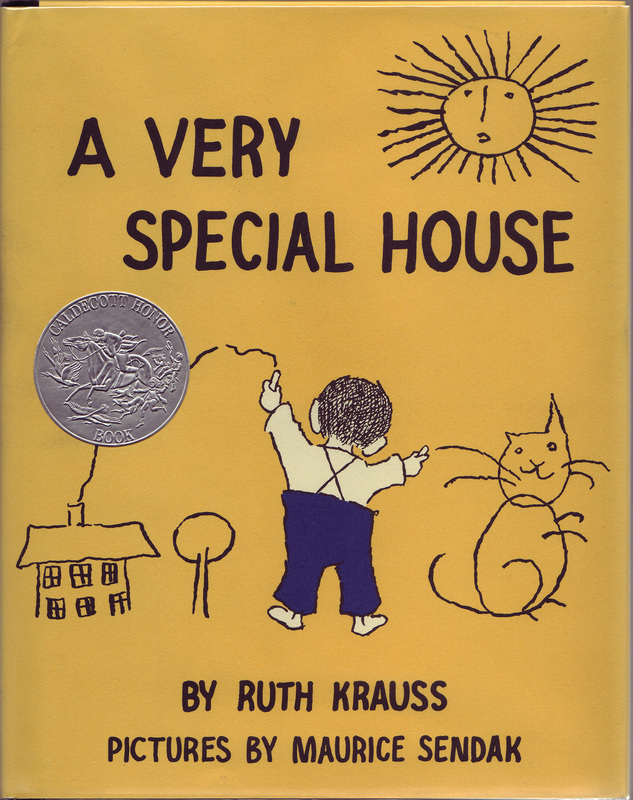 Their second was A Very Special House (1953), which won Sendak a Caldecott Honor — his first of many. They would collaborate on eight books between 1952 and 1960. More importantly, their collaborations officially launched Sendak’s career as the great 20th-century artist for children. Krauss could not have known any of that when this photo was published. Nor could she guess that, though she and Sendak would later have a bit of a falling out, he would come to visit her during her final year of life. Because he needed to tell her how much she meant to him. And to kiss her goodbye. 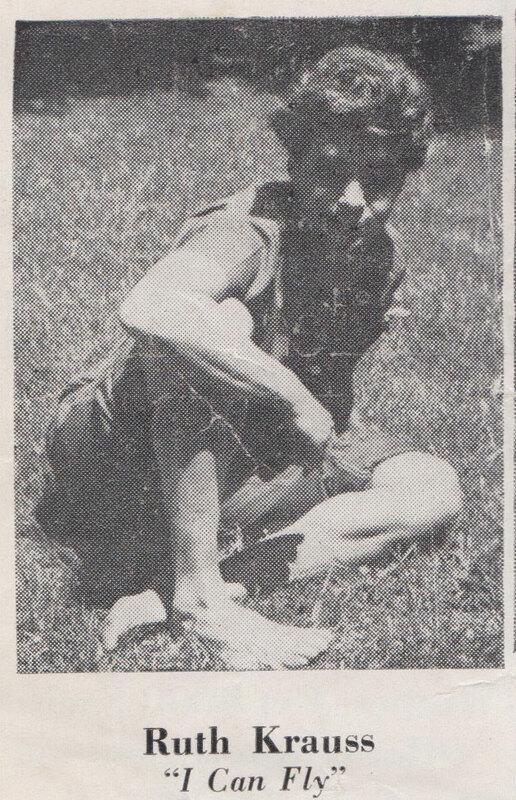 This photo of Ruth, sitting cross-legged on the grass, captures her youthfulness — a youthfulness that allowed her to lie convincingly about her age well into her old age. It also evokes her affinity for children: she liked to sit with them, and listen as they told stories. Because she treated them as her equals, children accepted her into their community. They would talk or play, and she would listen. And take notes. 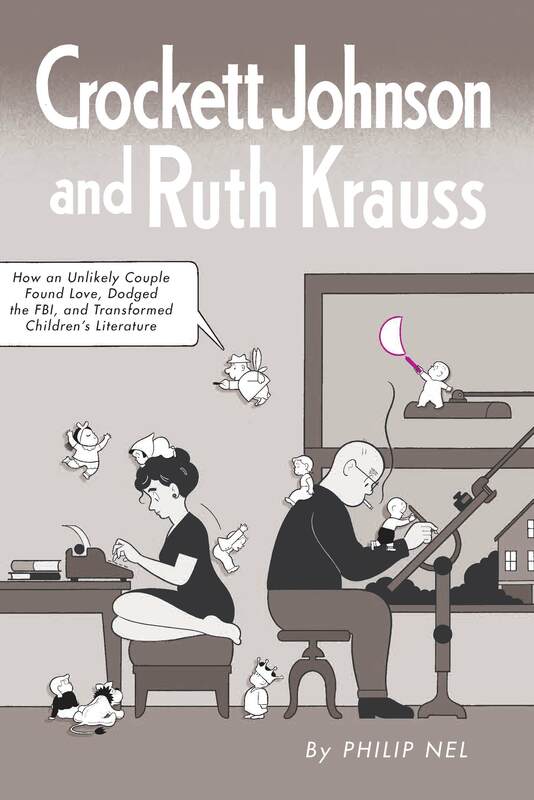 There are many posts on this blog tagged Ruth Krauss or Maurice Sendak. In honor of her birthday, why not read a few? And, of course, you can learn more about them both in my biography of Krauss and Crockett Johnson — check it out of your local library today! 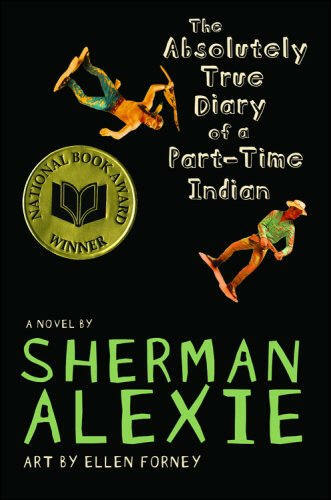 As many teachers do, I teach Sherman Alexie’s Absolutely True Diary of a Part-Time Indian. When confirmed reports of his sexual harassment and other abuses of power became public, I knew I had to talk to my class about it — I had already taught Absolutely True Diary in my on-line Multicultural Children’s Literature class earlier in the semester. Thinking that our conversation might be of use to others who are confronting this issue, I’m sharing my initial question, my response to their conversation (which highlights recurring themes), and a quotation from one of the students (shared with her permission). Because I have to prepare our on-line conversations several weeks in advance, this begins in early March but their responses were only due in late March — and my response followed. Because I’m preparing these discussions about three weeks in advance, this will appear as “due” after March Break. And that is in fact when it is due. I don’t feel I can add anything further to our current week. But I also don’t feel that I can ignore this. So I am making this visible now (March 6th) even though you’re not obliged to discuss it until March 27th. For the past month, those of us in the children’s literature / young adult literature community have known that Sherman Alexie is among those accused of sexual harassment. Last week (Feb. 28), Alexie issued a denial/apology. Yesterday (Mar. 5), three of his accusers went public. This raises an important question for us — as students, future teachers (some of you), or current teachers (me and some of you). Should we continue to teach an author who has harmed others? And that is the question I am posing to you right now. Should work by Sherman Alexie be on future iterations of this syllabus? Or ought we instead replace him with, say, a work by another indigenous writer — perhaps Cherie Dimaline’s The Marrow Thieves —? This is a hotly debated question, and — from our previous conversations — I know that you will express yourselves with care and consideration for divergent points of view. Those who argue for often note that those who create great works of art may not lead exemplary lives; their own personal failings are irrelevant to the greatness of their art. And, certainly, as a colleague of mine observed via email, in our English classes we teach many writers who, in their private lives, were horrible human beings. Those who argue against might say that there is no legacy so important that we can look the other way. As Roxane Gay puts it, “I no longer struggle with artistic legacies. It is not difficult to dismiss the work of predators and angry men because agonizing over a predator’s legacy would mean there is some price I am willing to let victims pay for the sake of good art.” She suggests instead that we turn to artistic work created by those “capable of treating others with respect.” If these are two opposing poles of the debate, there are of course many positions between them. And there are other ways of exploring possible answers to this question. As I say, it’s a difficult, messy question. I have my own answer to it, which I will share after our conversation — and, indeed, which might be changed by our conversation. Time passed — including March Break — and the students’ conversation unfolded on-line. It was the most contentious conversation we’ve had this semester, but — to their great credit — they remained civil even when they strongly disagreed. I then wrote my promised response, which I reproduce below. Hi, everyone. Sorry I’ve been a little quieter this week. Have been a bit under the weather. Indeed, your El Deafo discussion (two weeks from now) lacks my second planned video because my voice is still a bit wonky. Thanks, as ever, for wrestling with a difficult and painful subject. You may be interested to know that — here on campus — we held a discussion on this subject before March Break. The English Department blog published a summary of that discussion on Tuesday of this week. In your discussion, some liken the removal of a book from a course syllabus to censorship. I see the parallel being made, but — as the creator of many syllabi — I would argue that removing a book from a course syllabus is not the same as censorship. The book is not banned. It is still for sale, and still in the library. Also, since I regularly revise my syllabi, I am often taking books off and putting others on. I do this for many reasons, including the never-ending quest to improve the course, the need to stay current (new books keep getting published), and my own need to refresh the syllabus (if I teach the same works over and over, then I risk getting stale). Another theme I notice in your discussion is the idea that removing this book would consequently remove Native American literature from our Multicultural Children’s Lit syllabus. It wouldn’t. We could read Erika Wurth’s Crazy Horse’s Girlfriend, Cherie Dimaline’s The Marrow Thieves, Cynthia Leitich Smith’s Rain Is Not My Indian Name, or Louise Erdrich’s Birchbark House. Debbie Reese makes some Native YA Lit recommendations in this blog post. There are many Native children’s and YA books to choose from. Indeed, there should be more than one on this syllabus. There isn’t because the class strives to cover as wide a range of identities as it can, which (I realize) risks making this book the “single story” that Adichie warns against. I would, however, agree with those who note that (and I’m paraphrasing here) monstrous people have made great art, important art, influential art. Faulkner’s “go slow, now” approach to ending Jim Crow was immoral and unjust, but if I were teaching a class on twentieth-century American literature, I would assign Faulkner. If I were teaching a class on twentieth-century Native American Literature, I think I would also assign Alexie — bringing in the full context, the women who have spoken on the record, the women who have spoken off the record, those who defend Alexie and those who accuse him. We could have a more developed version of the conversation we’ve had here. But I don’t teach a Native American Literature course. I teach a Multicultural Children’s Literature course and I teach a Young Adult Literature course. Alexie’s Absolutely True Diary has been on both of those syllabi. It will not be on either syllabus in the future. There are many reasons why, but here are four. William Faulkner is dead. Sherman Alexie is alive. If I assign Alexie’s books (and thus mandate that my students buy his books), I am continuing to pay his salary. I would rather pay the salary of a person who has managed to create good art without harming others. 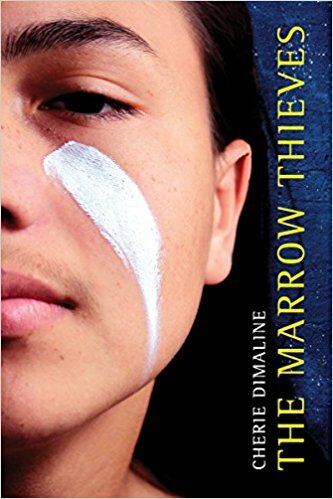 Since there are plenty of such people, I will be assigning Cherie Dimaline’s The Marrow Thieves next time. The books I assign in both classes go on to become books that future teachers assign: Secondary Education majors take Literature for Adolescents, and I know that this class has some Education majors in it, too. So, in assigning a book, I am in essence recommending that book for tomorrow’s teachers. I am making it part of the children’s literature / YA literature canon, enshrining it in the curricula of tomorrow. Sherman Alexie’s treatment of women is diametrically opposed to the goal of a class like Multicultural Children’s Literature. As I say in that opening video, the books we read are about increasing understanding, and respecting others. I cannot in good conscience promote the work of a man who does the opposite of what this class aspires to do. As his denial/apology indicates, Alexie does not understand why his behavior was wrong. If he understood, apologized, made efforts to make amends, well, there would at least be the possibility that I might assign him again in the future. But he doesn’t get it. He says “I genuinely apologize” but also “There are women telling the truth about my behavior and I have no recollection of verbally threatening anybody or their careers.” So, which behaviors are true, then? He says, “I have made poor decisions,” but declines to name what those decisions were, which makes it hard to believe that he is “working hard to become a healthier man who makes healthier decisions.” If he does not understand why his behavior was wrong, then he cannot learn from his past. You need to know why a mistake is a mistake in order to change. Because, yes, as some of you have correctly noted, humans are flawed. We make mistakes. We have regrets. We do things we should not do. And we would be naïve to expect our artists, writers, actors, musicians, to be paragons of virtue. But, for me, a pattern of predatory behavior crosses a line. The emotions in this discussion have been more raw than they usually are — which is quite understandable, of course. I mention it here for several reasons, the first of which is that a couple of days have elapsed since the discussion and my response. I wish we could have had this conversation in person because then we could have addressed some of these questions in person. The asynchronous nature of this class means that we could not. But, since we could not, you should know that you all did far better than all of the on-line discussions I’ve seen on this subject. There have been much more contentious posts on recent School Library Journal articles, for example. This discussion never even approached that level of vitriol. Indeed, it was remarkably vitriol free. That said, I recognize there may yet be some frayed nerves and lingering bad feelings. So. If anyone would like to talk with me about this, please let me know. I am willing to set up a Zoom chat for anyone who’d like it — or multiple Zoom chats. And, whether people seek those or not, I ask that you do your best to sustain the professionalism you’ve managed to sustain throughout the term. We do not have to agree with each other, but we do have to make an effort to understand and respect each other. For the record, I respect the variety of opinions offered here. I’ve given you my response because I promised that I would. But, as I’ve said before, you do not need to agree with my assessment of a book or, in this case, whether to teach the work of a particular author. For those who want to read more about this, Debbie Reese has a chronicle of the Alexie story as it unfolded (when you click on the link, scroll down). 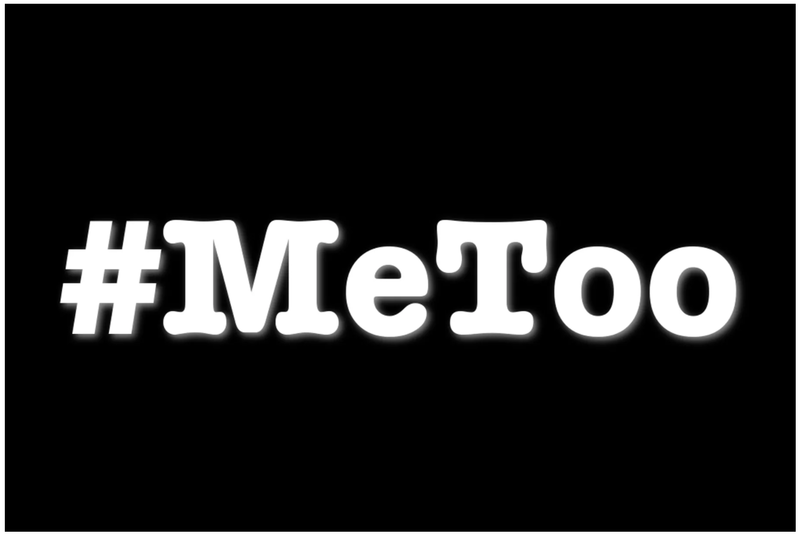 None of us are epitomes of perfect ethical behavior, morality, or wisdom, but I believe most of us can agree that there should be consequences for predatory sexual behavior because it does indeed hurt people. And monetary costs from boycotting a book are a small form of justice that we are all able to be a part of, and I do not think it is too heavy a price to pay for the sake of the victims and the future. To all of you: Thanks ever so much for taking the time to wrestle with this contentious and difficult issue. I hope that, though your own responses may differ, you all have arrived at a deeper understanding of what’s at stake in either retaining a book or removing it. Art is always political. So is teaching. We cannot pretend otherwise. What to do with Dr. Seuss? The objects of your nostalgic longing may disappoint you, if you are willing to look at them openly and honestly. If you read, create, or write about children’s literature, today — the 114th birthday of Theodor Geisel (a.k.a. Dr. Seuss) — would be a good time to admit this to yourself. OK, the time for such admission is really long overdue, but do not be too hard on yourself. The power of cultural inertia is hard to resist. This particular problem is one to tackle today because Seuss’s work contains both much to admire and much to oppose. Yet, because of his status, people are much more comfortable admiring than looking critically at his work. In the U.S., he is revered as a patron saint of children’s literacy, and children’s literature. In 1997, the National Education Association adopted his birthday as a day to celebrate “Read Across America Day.” It still uses his Cat in the Hat as its mascot, even though — starting this year — it’s shifting its focus to diverse books. I am partly to blame for this shift. In a report that helped inspire this change, Katie Ishizuka-Stephens cites the essay that became the title chapter of my Was the Cat in the Hat Black? As I point out, Seuss’s Cat is racially complicated. He’s partially inspired by blackface minstrelsy, African American elevator operator Annie Williams (who wore white gloves and a secret smile), and Krazy Kat (the black, ambiguously gendered creation of bi-racial cartoonist George Herriman). I’m happy that Ishizuka-Stephens’s report has persuaded the NEA to shift their “Read Across America Day” focus to diverse books. Half of U.S. school-age children are nonwhite. But of children’s books published in 2016, only 22 percent of children’s books published featured nonwhite children, and only 13 percent were by nonwhite creators. Celebrating stories in which our multicultural young people can see themselves is a better choice than celebrating Seuss. Which is not to say that Seuss must be thrown out of our classrooms — though that is of course an option. It is, rather, to suggest that we consider which Seuss we use, and how we use it. 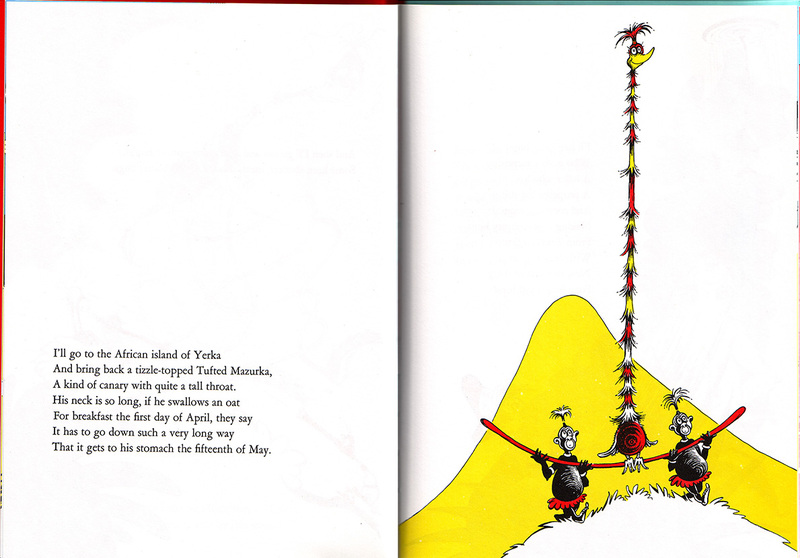 Racial caricature in Seuss’s work can help people understand how racism works. Seuss did both racist work and anti-racist work, often at the same time. In the 1940s, he created political cartoons, some of which dehumanized people of Japanese descent, and others of which were critical of both anti-Semitism and racism against African Americans. 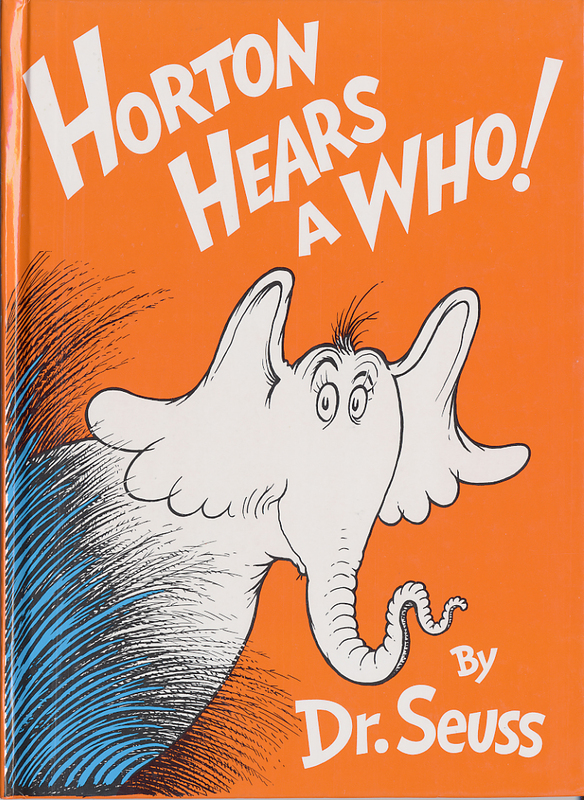 In the 1950s, Seuss published Horton Hears a Who!, hailed by one reviewer as “a rhymed lesson in protection of minorities and their rights”; wrote his first version of The Sneetches, an anti-racist fable; and published an essay that critiques racist humor. During that same period, he recycled racist caricature in his books. In If I Ran the Zoo, protagonist Gerald McGrew travels to “the mountains of Zomba-ma-Tant / With helpers who all wear their eyes at a slant,” and to the “African Island of Yerka” where he meets two stereotypically rendered Black men. That Seuss is doing both racist anti-racist work at the same time can be confusing because many of us see racism as an “either/or”: people are either racist or not racist. Indeed, that’s how Seuss himself understood racism. 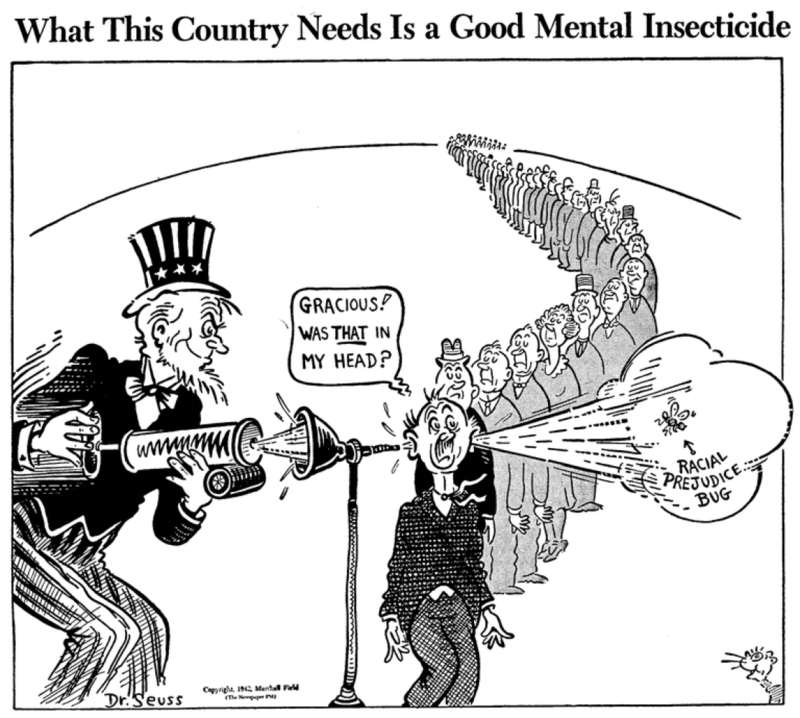 In a June 1942 cartoon titled “What This Country Needs is a Good Mental Insecticide,” he draws a long line of men waiting to get inoculated against the “racial prejudice bug.” The insecticide goes in one ear, and the racist bug tumbles out the other. I wish we could fumigate racism from our minds, and applaud Seuss’s optimism. Unfortunately, racism is not a bug. It’s a feature. Racism is not aberrant. It’s ordinary. It’s embedded in institutions and in culture — such as the cartoons and books of Dr. Seuss. 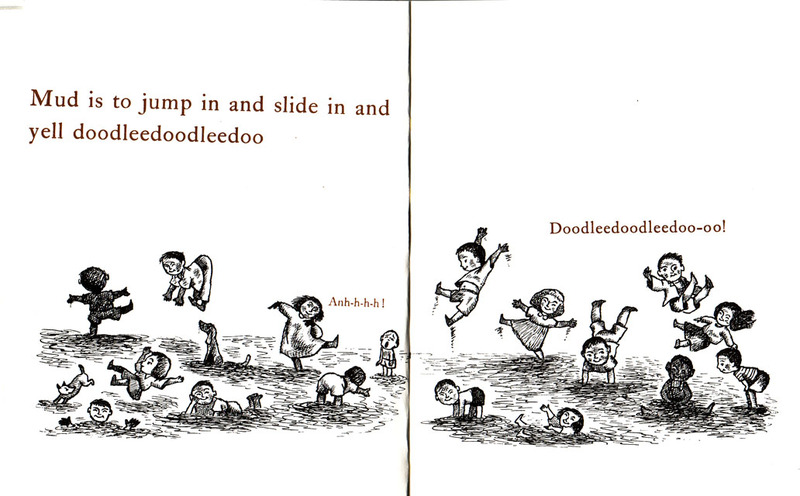 It’s upsetting to learn that a beloved children’s author used racist caricature. So, many people — especially White people — seek explanations and offer excuses. In response to recent criticism, his grand-nephew Ted Owens has said of Seuss: “I know one thing for sure — I never saw one ounce of racism in anything he said, or how he lived his life, or what his stories were about.” Mr. Owens’ claim relies on perception and intent. But racism does not require either. People can perpetuate racism without intending to. I don’t think Seuss intended to. Because he was unaware of the degree to which his visual imagination was steeped in caricature, he recycled racist stereotypes even as he was also writing anti-racist parables. Dr. Seuss was the “woke” White guy who isn’t as woke as he thinks he is. “Now, wait just a minute,” some may object. “Seuss was a man of his time. We should not impose contemporary standards on him or his work. People thought differently then.” But that is a gross oversimplification. All people in any given historical moment do not think about race in precisely the same way. As Robin Bernstein has shown in her work on nineteenth-century anti-racism, the range of available racial beliefs remains constant over time, but the distribution of those beliefs change. In the past and in the present, both extraordinary and perfectly ordinary people have opposed White supremacy. Similarly, both remarkable and unremarkable people have supported White supremacy. To claim that people 60 years ago were racist but people now are enlightened both naturalizes past racism as inevitable and implies that social change is a natural, ongoing march towards a brighter, fairer future. Yet, as we are reminded daily, our current president and his party are actively working against precisely such a future. Progress moves in fits and starts, makes gains and endures setbacks, and always requires people committed to making a positive difference. Seuss can be part of this positive difference. His more progressive books — The Lorax (1971) or The Butter Battle Book (1984), to name two examples — might teach children about the need to care for the environment or to oppose the proliferation of nuclear weapons. Horton Hears a Who! could teach them to stand up for those who are targeted by bigots: the Whos’ size is an arbitrary mark of difference that could represent any such visible sign of human variance. As for the books featuring racist caricature, one option is to remove them from the curriculum. Another is to read them critically. With the guidance of a thoughtful educator, Seuss’s racist caricature can help young people understand that racism is not anomalous. It permeates the culture. Seeing this caricature can also let them know that it’s OK to be angry at art — that anger can in fact be a healthy response to work that demeans you. 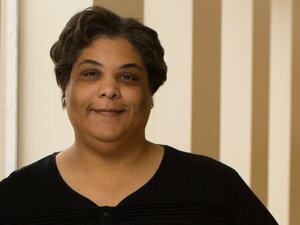 We might also follow Roxane Gay’s advice. As she writes, “There is no scarcity of creative genius, and that is the artistic work we can and should turn to instead.” Gay is writing in the context of the current #MeToo movement, suggesting that we discard work built on the dehumanization of others. 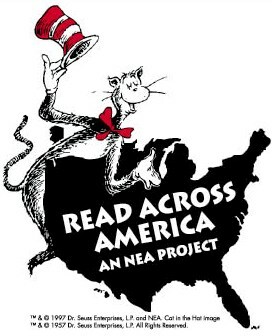 We could follow her advice by pushing Seuss aside and instead celebrating diverse books — doing what the NEA is doing in its program even if it (curiously) retains the Cat in the Hat as its mascot. Ishizuka-Stephens has assembled a great collection of “21 Books for an Inclusive Read Across America Day.” That’s an excellent place to start. Wrapping yourself in an unreflective nostalgia for the art you grew up with may comfort you, but if that art denigrates women, or caricatures people of color, or otherwise harms minoritized communities, then you bear responsibility for the pain that this art inflicts. I realize this is a hard truth to face and that some who read this will — instead of facing themselves and acknowledging their responsibility — attack the messenger. Some may indulge in projection, locating in the messenger those faults that they refuse to admit in themselves. Others will find different strategies of denial, displacement, or dismissal. In so doing, they will continue to be part of the problem. For those who prefer to be part of the solution, know that you need not abandon nostalgia. 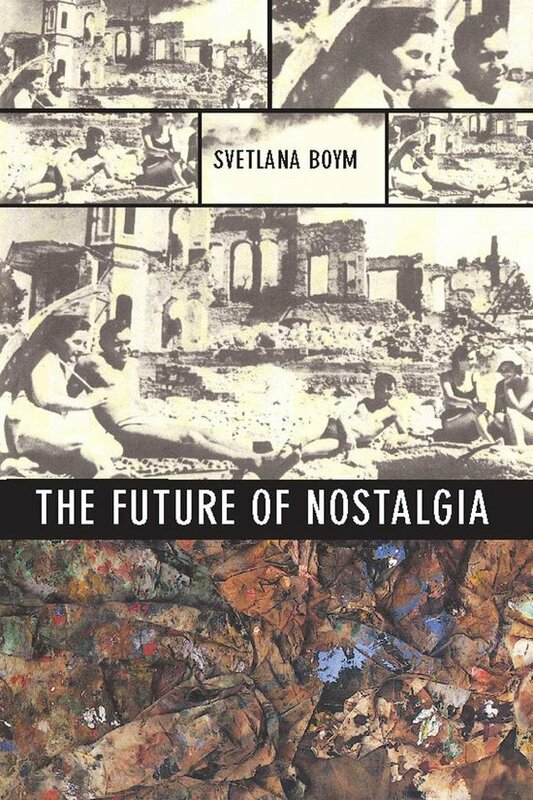 It’s OK to be nostalgic, as long as that nostalgia is what Svetlana Boym called “reflective nostalgia.” It “dwells on the ambivalences of human longing and belonging and does not shy away from the contradictions of modernity. Restorative nostalgia protects the absolute truth, while reflective nostalgia calls it into doubt” (xviii). 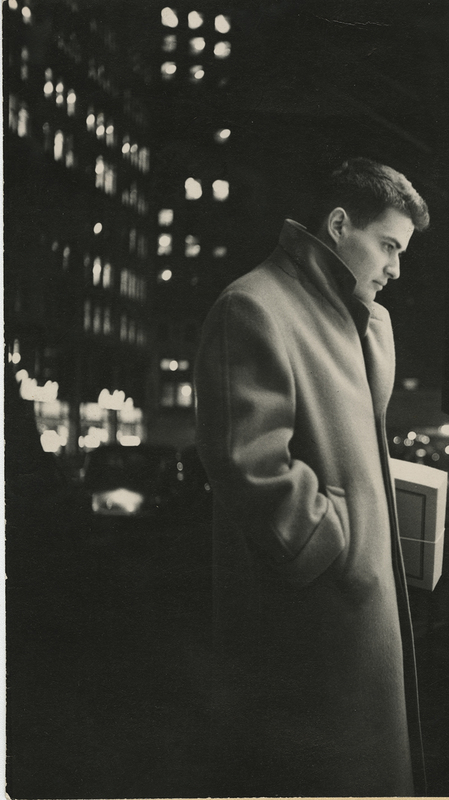 As Boym wrote, reflective nostalgia reminds us that “longing and critical thinking are not opposed to one another, as affective memories do not absolve one from compassion, judgment or critical reflection” (The Future of Nostalgia 49-50). So. Reflect. Dwell on those ambivalences. Develop your capacity to reflect. Activate your compassion. And buy diverse books. Teach diverse books. Read diverse books. The International Research Society for Children’s Literature (IRSCL) — an organization of which I am a member — is today issuing a statement in support of academic freedom, and against the rising tide of nativism/nationalism that threatens to curtail it. 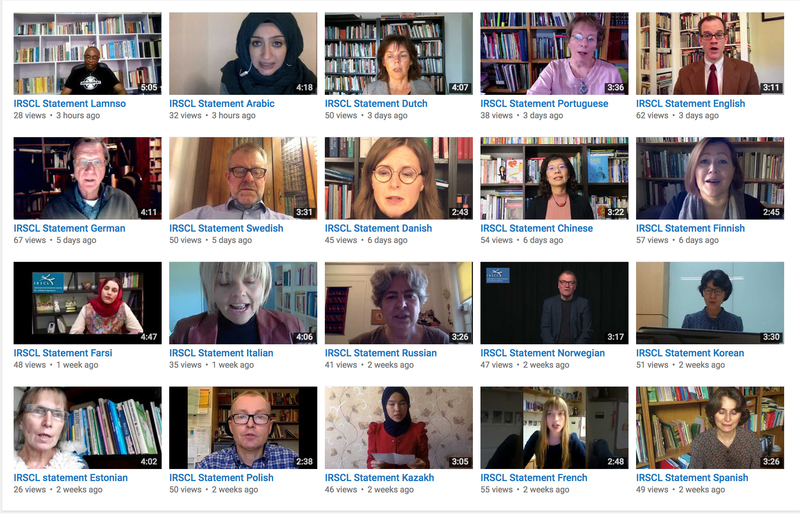 We’re issuing it in 20 different languages (with more to come) and you can see all of those on our YouTube channel: Arabic, Chinese, Danish, Dutch, English, Estonian, Farsi, Finnish, French, German, Italian, Kazakh, Korean, Lamnso, Norwegian, Polish, Portuguese, Russian, Spanish, and Swedish. Coming soon (we hope): Japanese and others. 30 Nov. 2017: added Ukranian, updated link to Danish. I concede that our language may be a little too “academic,” but consider that we coordinated this across borders, languages, holiday calendars, and extremely busy schedules. And it’s important to speak up for our shared humanity, for a scholarly community that transcend national borders, for free and open inquiry. The press release in many other languages via this sentence (pdf). On Universal Children’s Day, November 20, 2017, the International Research Society for Children’s Literature (IRSCL) issues a Statement of Principles, because it is worried about the ways in which contemporary geopolitics curtail academic freedom. This summer, IRSCL convened its 23rd biennial congress in Canada. More than 20 percent of the scholars whose papers were accepted were unable to attend Congress 2017, not only because of radical economic disparities in the world but also because of current restrictive travel policies and the “chill” caused by them. IRSCL finds the current xenophobic situation worrying as it curtails academic freedom. The free flow of people and ideas across borders has to be defended anew, says Elisabeth Wesseling, President of IRSCL. the statement is issued on November 20, Universal Children’s Day, to emphasize not only the importance of our research, but also of children’s literature’s potential to foster empathy, nurture creativity, and imagine a better world, says Elisabeth Wesseling. IRSCL is an international scholarly organization dedicated to children’s and young adult literature with 360 members from 47 different countries worldwide. Every second year the organization arranges IRSCL Congress, the world’s most international congress within the research field. In reading the statement (above) and writing this little blog post, I’m proud to stand with my friends and colleagues around the world. And I’m especially delighted to see them speaking their native languages. When we meet, we converse in English — because English is the “international” language of communication among scholars. So, English-speakers like me have it easy: everyone else speaks my language. But for everyone else, this is of course grossly unfair. I am grateful to them for learning English so that we can share ideas, and participate in a global community. And I thank them for tolerating my general inability to speak their languages. Reading children’s books about all different people (all types of difference, though in this case, national difference) helps raise a younger generation to be less susceptible to the narrow nationalisms that pervade our political culture. Diverse children’s books work because — as the research of Tali Sharot shows — emotion is more persuasive than reason. They work because, by expanding our emotional life, stories show us how we are connected — offering “a glimpse across the limits of our self,” as Hisham Matar puts it. And yes, yes, I know that white supremacy, xenophobia, and fascistic nationalism are resilient and adaptable — aided, as they are, by white fragility, white innocence, and colonial amnesia. And I know that children’s literature is but one front in a larger battle. But books for young people remain one of the best resources to oppose xenophobia and the structures that sustain it because children’s literature reaches selves still very much in the process of becoming; minds that have not yet been made up; future adults who can learn respect instead of suspicion, understanding instead of fear, and yes, even love.